Kelly is the Executive Director of Sentience Institute, a new think tank dedicated to researching the most effective strategies to expand humanity's moral circle to include all sentient beings. She previously served as Director of Communications at Sentience Politics, and she and her co-founder Jacy Reese started Sentience Institute in part because Sentience Politics decided to discontinue its effective animal advocacy research and outreach to focus exclusively on political initiatives. 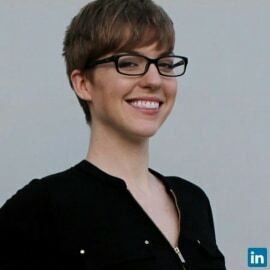 Kelly also earned to give at Google as a UX Engineer, and has volunteered with several animal advocacy organizations, in graphic design, grassroots organizing and animal rescue.